Golf is a game of fine margins and practice is the only way you will be able to improve and take shots off your round. Often this will involve working on the individual aspects of your game, sometimes even away from the course. Our range of golf training aids will help you to make the most out of your ability. From swinging aids that help your technique, distance and accuracy, to Analysis Tools which employ sensors to measure movement and other info, then display them through an application on your smart phone or tablet. Many of the golf training aids can be used from the convenience of your back garden, such as the practice nets and swing aids. 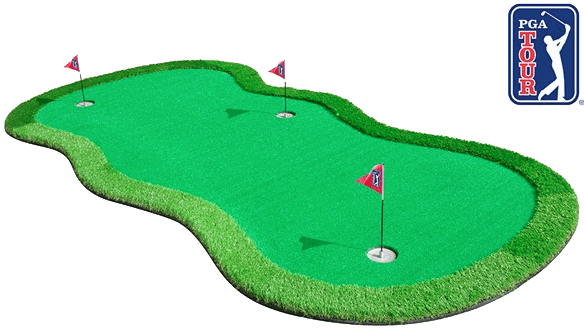 While our impressive range of putting mats can be set up in the office or hallway at home to hone your game around the greens whatever the weather. At GolfOnline you’ll find a wide range of golf training aids to ensure your game continues to improve every week of the year.